Plastic becomes pliable with the application of heat. With the assistance of a strip heater and clamps, you can bend a sheet of plastic for use in craft and construction projects. You can find all the items you need at most hardware stores to complete a simple, straight-line bend on a plastic sheet. Mark the location where you want to bend your plastic sheet, using a permanent marker to make a light tic at either edge of the line. Position the plastic sheet so that the area you will bend is between two flat, flame-retardant surfaces, like saw horses. Secure the sheet in place by using clamps on both ends. Put on cotton safety gloves. Position a strip heater at the recommended safe distance from the plastic, as directed by the manufacturer. Heat the plastic until it begins to sag away from the heating element. Remove the clamps, while still wearing your safety gloves. Manipulate the edges of the plastic, carefully with gloved hands, until you achieve the degree of bend you desire. Clamp the hot plastic into place and leave it for 24 hours to cool fully. Plastic sheets thicker than 3/16 inch need to be heated on each side to achieve a proper bend. More intricate projects involving multiple bends require specialized skill and tools. 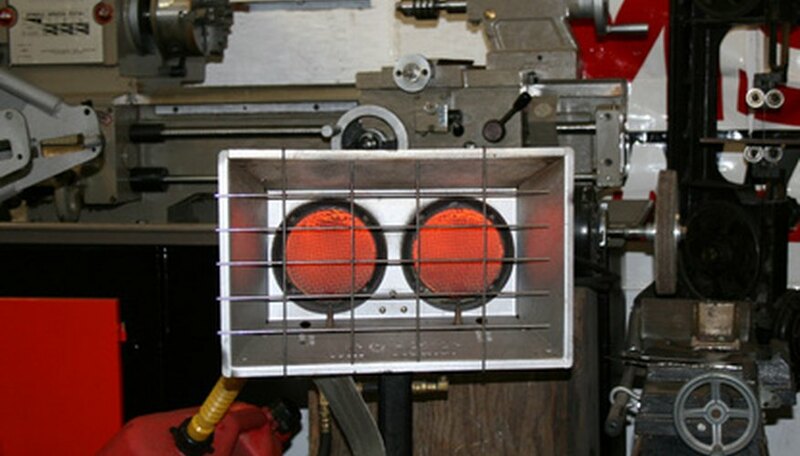 Do not use a strip heater around flammable products like paint thinner and gasoline. Do not use a strip heater without wearing protective gloves and clothing. Do not leave children unsupervised near this project.